As I mounted the top stair at the entrance to Canova Beach in Melbourne, FL, I surveyed the scene of beach goers, fisher folk and the blue green of the sea. I scanned sand and dunes momentarily before descending for my daily patrol armed with my little plastic shopping bag festooned with illustrations of flip flops. I’ve been walking a mile-long stretch of Canova Beach for quite awhile now but it was not until earlier this year that I began to notice the amount of trash half buried in the dune line, fluttering in the sea oats and washing up with the tide. I started out just wanting to do my power walk with a little beach combing along the way. As I began to know the beach, however, I looked forward to watching for turtle tracks marking the way to a newly laid nest and those that marked a mother returning to the sea, her job done. The beach always held some new sea treasure. In addition to the ever-changing shell scape, there are sea beans; bright blue man of war and moon jellies; a sea hare and even a tiny round brown and orange puffer fish that was breathing its last. In the surf, I’ve seen herons, ibis, plovers, sandpipers, royal terns and egrets along with sharks and dolphins trolling at the surf line. Further out, dive-bombing pelicans look for food. In contrast, I also see the trash and the assorted flotsam and jetsam lining the tide, wrack (seaweed) and dune lines. A veteran viewer of nature documentaries, I thought of the plastic ending up in the bellies of the sea turtles, dolphins and assorted aquatic creatures that share our ocean. I recalled stories about the Great Pacific Gyre that captures the trash we’ve dumped into our oceanic planet and how, as it breaks up, it is too small to scoop. And, there, on my very own beach, were little blue plastic bits and Styrofoam pellets washing ashore. Thousands walk the beach daily around the world, ignoring the trash as I did, thinking someone else will pick it up. Sadly, there is no one else except for the occasional springtime call for volunteers to clean the beach. So began my daily beach patrol, clearing bottles, sandwich bags, soda cans, slushy cups, bottle caps and straws. There have also been numerous single flip flops and oh so many pairs of sun glasses that have been lost in the surf. There have been shoes, fishing lines with and without weights, discarded candy along with bits and pieces of chairs, umbrellas and tents. I’ve scooped up goggles, hair ties, shirts, shorts and barrettes along with chip bags, candy wrappers and untold numbers of plastic wrapping and shopping bags. The tide also washes in cleaning bottles, fish buckets well encrusted with sea life and a plastic mesh milk carton, similarly encrusted. Yes, and there has been the occasional gross find in the form of used diapers (neatly wrapped up but left none the less), band aids, and even a sanitary pad. I even found a dog pile but I admit to drawing the line on picking up that one. I was shocked by the amount of trash after weekends. I found an entire six-pack of empty beer bottles along with a few that were broken. The plastic parts from used fireworks also littered the sand. I see broken glass and discarded pop-tops as an invitation to a tetanus shot for some poor, unsuspecting beach goer. After a weekend, my arms are literally overloaded by bottles, cans and assorted refuse by the time I climbed the stairs at the end of my walk to hoist it all into a garbage can. That was when I wished there were garbage cans placed every so often along the dune line. On the brighter side, I have a growing collection of beach toys that I will, someday, give to children playing on the beach. I even found a tiny toy giraffe. Lest you think Canova is a particularly dirty beach, you would be wrong. I see a huge trash buildup on every beach. Recently, there was even a discarded Christmas tree on Melbourne Beach in July! While the rest of my fellow walkers are focusing on shells, I watch for the tell-tale colors and shapes that send me trudging up to the dune line to snag a bag or a bottle. Canova is definitely a cleaner beach for my efforts, but I wonder. There are a lot of us walking the beach every day. What if we all brought along a little bag to pick up the trash? I can attest it is great exercise adding all that bending to our power walks. 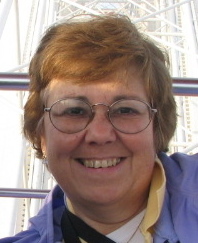 Kathryn B. Creedy is a freelance writer living in Indian Harbour Beach, FL. Keywords: beach, sand, trash, Indian Harbour Beach, Florida, Melbourne, Canova, turtles, jellies, Great Pacific Gyre, herons, pelicans, turtle eggs, shells, dauphins, royal terns.